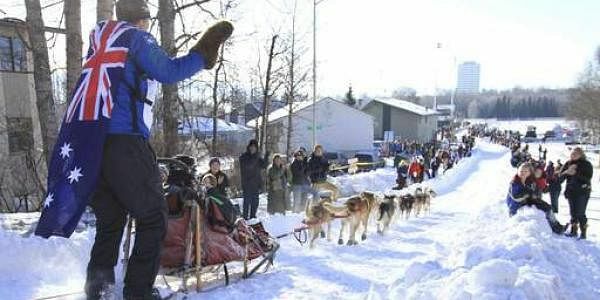 High temperatures in single digits Saturday and in the teens Sunday should be perfect for the mushers and their dogs. FORT KENT: More than a dozen mushers departed Saturday amid a cacophony of barking dogs and cheering spectators for a 250-mile dash across the wilderness of northern Maine. "We cross one mountain to the other. You just feel like you're climbing them, never descending them," Martin Massicotte said in French, which his wife translated for him. "I do not remember winning any of these races easily," he said.